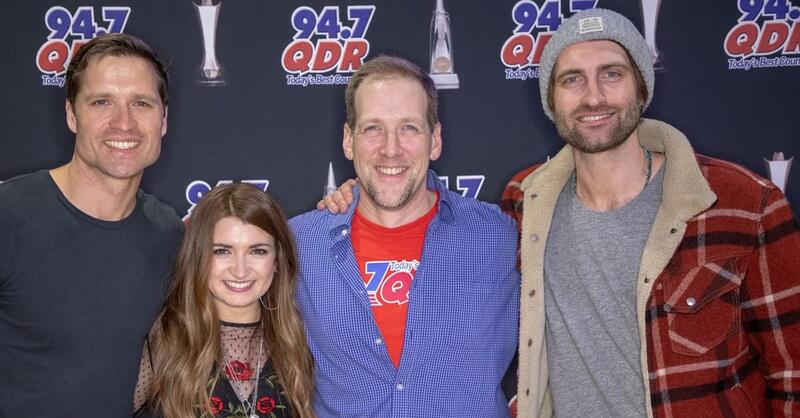 Listen as Mad Dawg speask with Ryan Hurd ahead of his show at City Limits Saloon on March 22nd! Want FREE tickets to Ryan’s show? 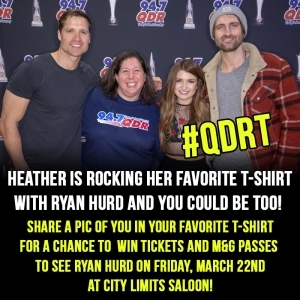 Share a picture of you in your FAVORITE T-shirt for your chance to win a pair of tickets and Meet & Greet passes for Ryan Hurd this Friday night (March 22nd) at City Limits Saloon in Raleigh! You’ll also be invited to hang with him at the QDR studio on Friday before the show! Be sure you’re following QDR on Twitter and Instagram and use #QDRT to enter!